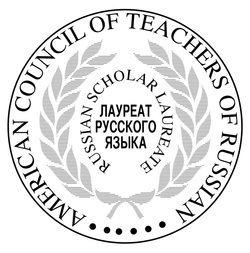 The American Council of Teachers of Russian designates ACTR Russian Scholar Laureates each school year. Every school where Russian is taught may designate one out­standing sophomore or junior for this award. Stu­dents in other years are not eligible, and there can be only one award per school. Really, this is a significant honor. If you see her, please congratulate her!